In celebration of Prince Charles' 70th birthday on November 14, Clarence House revealed two previously-unseen photographs of the royal family. The portraits are the picture of happiness, with smiles and laughter on every face. But, keen to know if it's all quite as "happy families" as it looks, we asked body language expert and author Judi James to share her thoughts on the subtext of these photographs. In both pictures, Prince William can be seen with a "direct-to-camera smile and a more formal, upright pose." This, Judi says, suggests "he could be the protective power behind his father's 'throne.'" Indicating there are still "very close bonds of love and like-minded thinking," Judi points out how William and Kate echo one another's postures. This also suggests that the Duchess of Cambridge "seems to be growing in status in the family unit. She clutches Louis with pride and delight and her smile has grown from perfect social smiling into a much more symmetric 'head of the family' or 'team leader' look," notes Judi. Generally, the body language expert feels that Kate Middleton "is looking less dependent on William and more like an individual in her own right here, laughing at something to the side of the camera at one point rather than sharing his gaze." Straying from their usual behavior, Judi James points out that "Meghan and Harry appear to have adopted a less 'twinned' look here," instead contrasting one another. 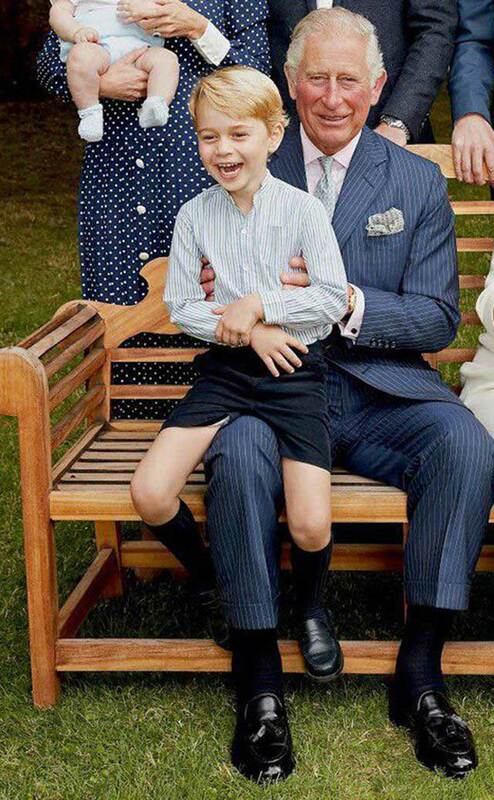 "Harry looks like the least formal and most fun member of the adult group, while Meghan adopts a pose that is elegant, adult, and super-royal," says the expert. Also, in a break from her typical behavior which has historically been entirely Harry-centric, when Meghan does break into laughter, "she bends to share with the children in the front row rather than Harry." 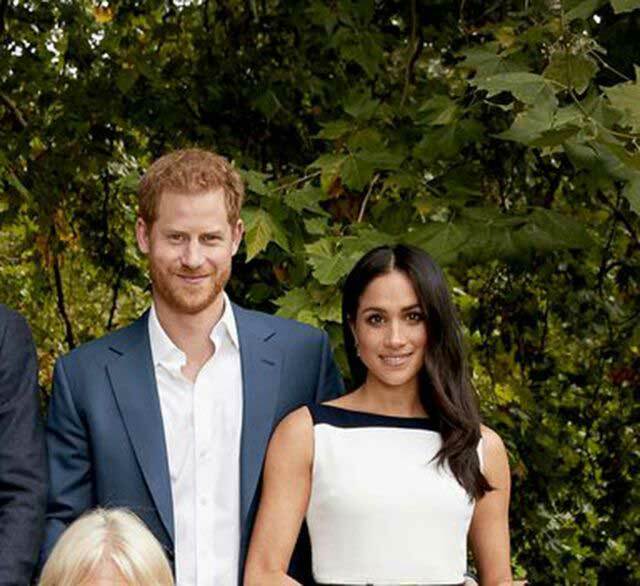 This doesn't mean the newlywed couple's tactile, loving signals are any less potent, however, as Judi points to Harry's hand which is gently placed on Meghan's upper hip in one of the photographs. 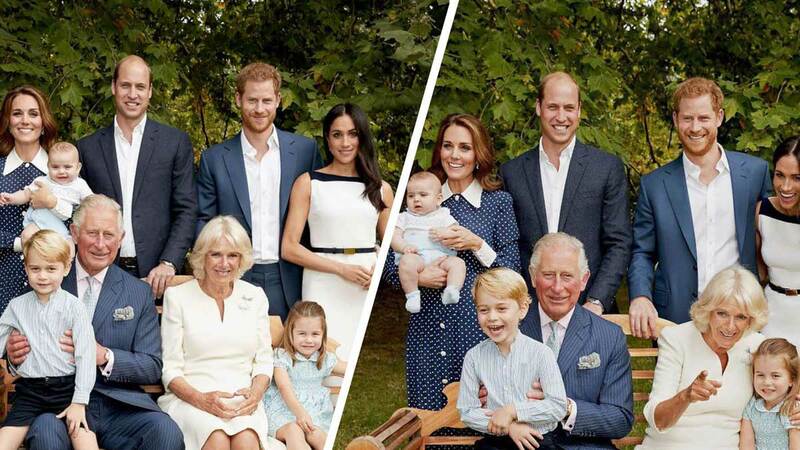 With the Queen and Prince Philip absent from the family photo, Charles is—as a result—"taking status center spot here." From the body language expert's perspective, the Prince of Wales looks "happy but slightly ill-at-ease" about this scenario. Judi explains that while his "leg splay and formal posture" reflects a "rather old-school style of regal status," his "steepled brows hint at underlying anxiety." "Having more time with him at home would be lovely—and being able to, you know, play around with the grandchildren. When he is there, he's brilliant, but we need him there as much as possible," he added. "Her pulled in arms and shy-looking smile show traits she has used since she first 'came out' as Charles' partner," suggesting she might still feel unsure of the reception she will get in public. 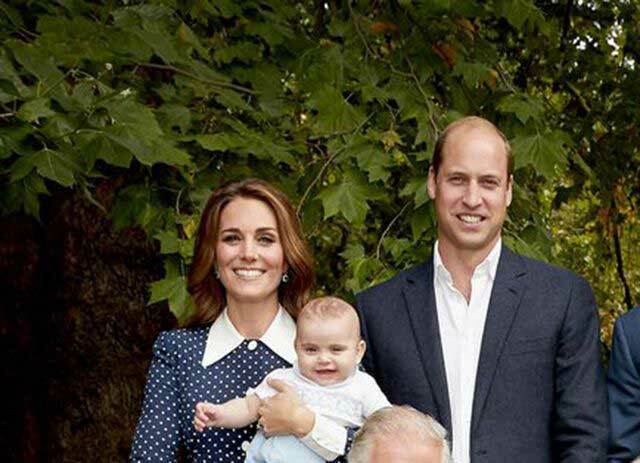 In her role as a grandmother, however, Camilla is evidently far more comfortable than Charles. 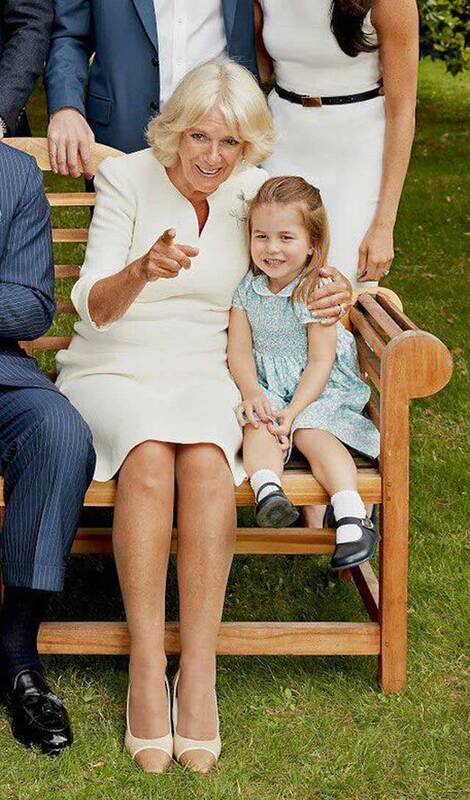 "She is clearly a much more relaxed granny, chatting to little Charlotte who in turn nestles happily up beside her," the body language expert notes.